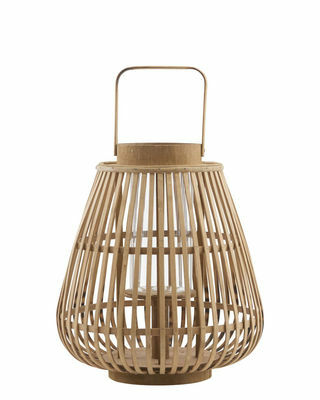 A bohemian, natural feel for this beautiful bamboo lantern. It can stand on a table or hang from a tree branch by its handle. It’s perfect for illuminating an outdoor table during your summer evenings. 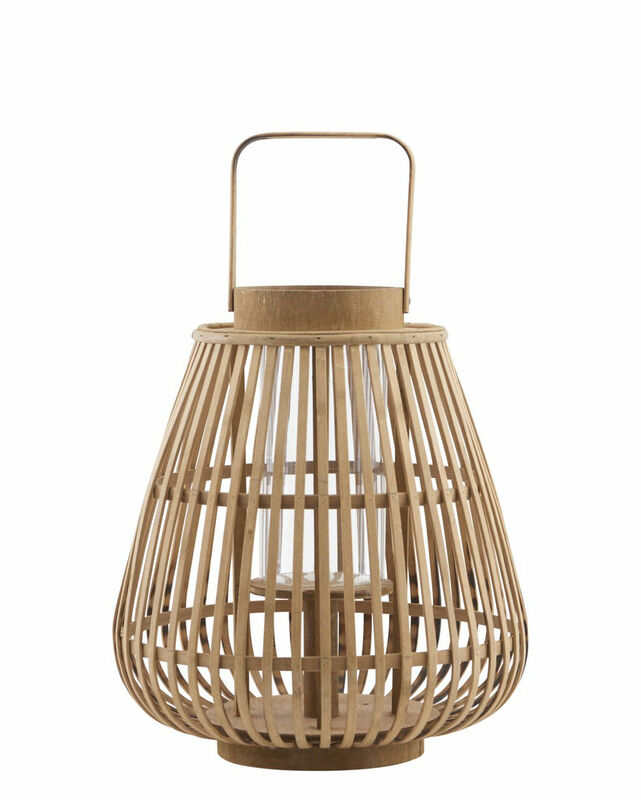 A glass candle holder placed inside this lovely lantern protects the candle from the wind. The openwork material produces a poetic play of light. Don’t expose to the elements.